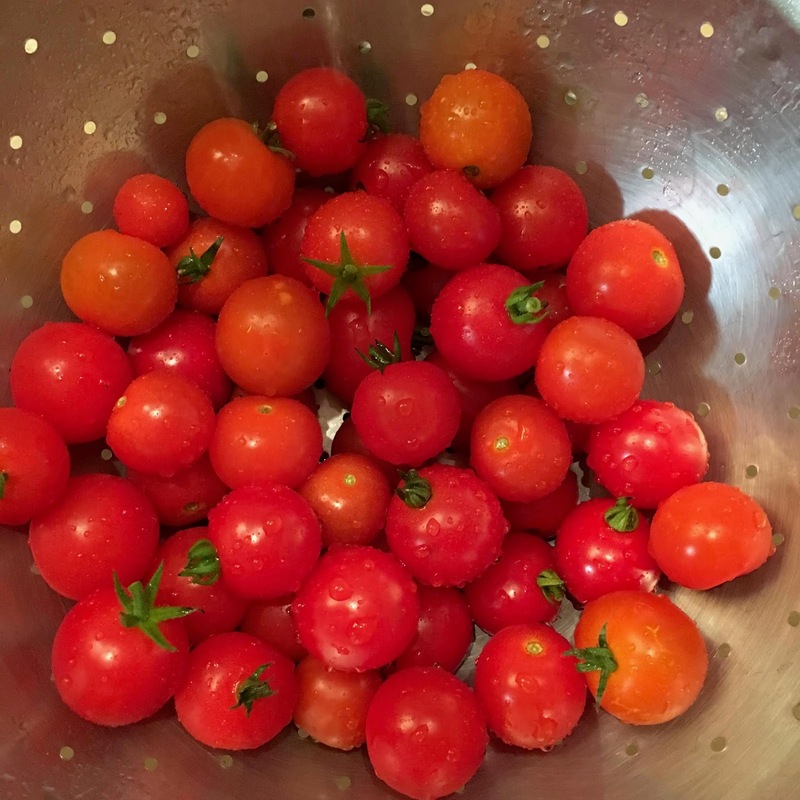 Tomatoes, tomatoes everywhere! We have had such a great first harvests! So far, we have gotten easily 200 cherry and grape tomatoes! It is caprese salad season in the beehive! 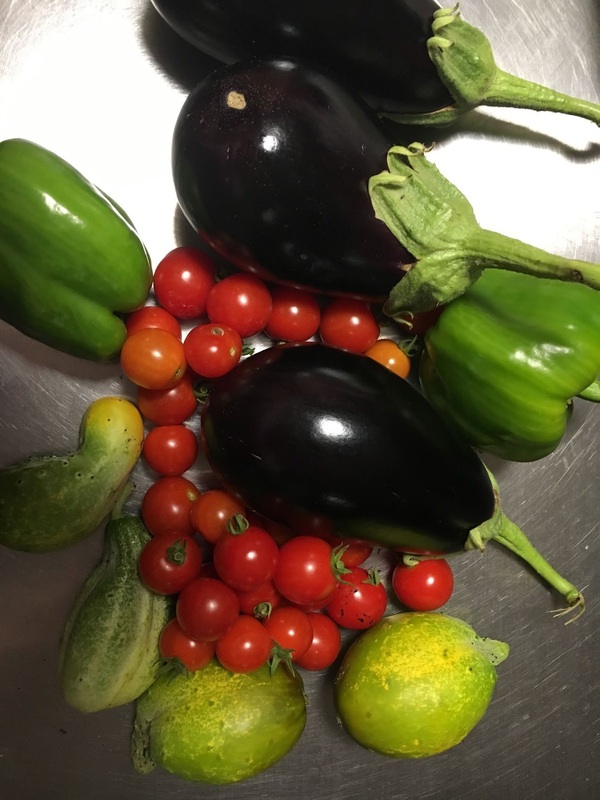 We also had about 6 cups of green beans 3 eggplant, 1 purple pepper and 2 green (even though we planted red), about 10 cups of salad greens, and about 3 dozen cucumbers. Our regular cucs didn't make it but we have been working on pickling (check for a new post on that soon). The onions needed to be harvested early after some thunderstorms that brought some rough hail but are delicious and the sprouts and corn aren't read yet.